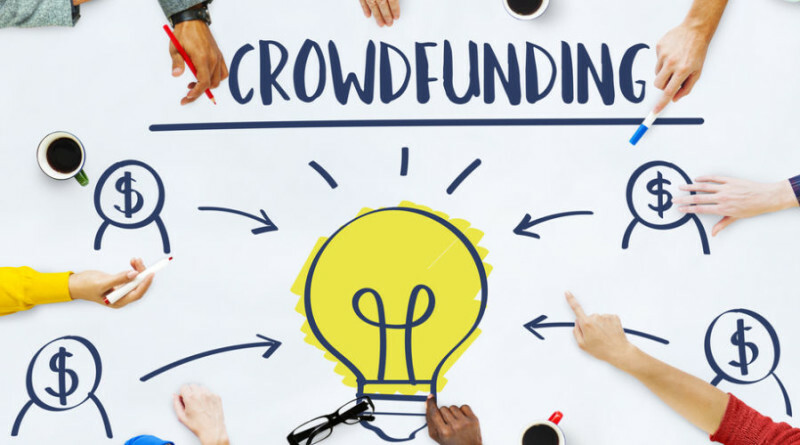 Crowdfunding is a kind of new and rapidly growing, mode of fundraising that is set to change long-held trends and patterns in the organized soliciting sector. To state it simply crowdfunding is designed to be uncomplicated- a large number of people- donors or investors- contribute relatively small amounts of money, to fund a project or venture. In its oldest form, most crowdfunding happens on the Internet. Those who campaign may need raised funds to finance a creative project, to found their own startup, for healthcare, or for setting up a social enterprise. Crowdfunding is not old, at least not yet. The first major online crowdfunding project was set up in 1997, when British rock band Marillion raised as much as $60000 for their US tour, and went on to record their studio albums with budgets collected the same way. About a decade later, in North America and western Europe, the practice of funding personal and public activities by reaching out to as many people as possible, to the proverbial “crowd”, had gained ground. Nothing had happened in India. A gamechanger called Impact Guru would be founded almost two decades later, in 2015. In the subcontinent, crowdfunding took another few years to catch on. But when it did, the bug spread across India in the blink of an eye. Campaigners took a risk and gave this new method of fundraising a shot. Donors, by the thousands, came up and made contributions. Indian crowdfunding platforms like Wishberry, Milaap, and lately Impact Guru have created safe digital spaces in India for telling stories, listening to them, and for campaigners and donors to come together. As in all developing nations, there is a great need for funds in India, in all contexts. But despite new crowdfunding companies cropping up everywhere, especially in the last three or four years, the average Indian citizen in need of a sizeable fund is shockingly unaware that they have this legitimate and effective way of raising funds available to them. A big chunk of this group will approach banks, and then other lenders, so borrowed money will tide them over. Many will be discouraged by intimidating eligibility criteria, some won’t qualify at all. A few others won’t receive money in time to serve their needs. Crowdfunding addresses all of these snags by being, possibly, the most inclusive method of campaigning for funds, even when it comes with the red tape India mandates. Anyone can campaign, and for any cause. The process, in the West, is almost completely do-it-yourself (DIY? ); in India the model involves closer interaction between the median campaigner and the platform they have chosen to raise their funds on. But there is a real effort being made to offer absolute independence and empowerment to the campaigner in every nook of India. Let’s get the how of crowdfunding in India. At the moment, crowdfunding platforms around India let anyone start a fundraising account for free. The campaigner writes their story, uploads photos and videos (if they have any), and does their best to share their appeal for help through social media. In this, they have help from their agency; a few, like Impact Guru, assigns a relationship manager to each project, so the strongest story is told, the largest number of prospective donors reached. Crowdfunding pundits who know the character of India and the typical donor-campaigner dynamic here, agree that the clout of the campaigner’s private network of family, friends, co-workers, business acquaintances and allies do influence the campaign’s impact. India being what it is, personal connections are more likely to elicit larger donations, and bigger networks usually mean more frequent sharing of the primary story on diverse platforms. Both of these things effectively build bridges between campaigner and donor. Some of these bridges will be crossed, donor and campaigner meeting midway. This process of finding common ground- donors finding causes they want to support, and campaigners achieving outreach for their narratives- is better buttressed by crowdfunding than other, more traditional forms of fundraising. The most important advantage that this young fundraising style has is also the most obvious- crowdfunding can operate successfully at none, or very little, initial outlay. This is especially true in developed nations, but also in India, where, typically, a campaigner getting in touch with a crowdfunding platform has to be educated actively about what to expect. When a campaigner is raising funds under the banner of a crowdfunding platform, they are spending very little of their private resources. Usually, when a target is met, or a campaign closes, the platform takes a small cut, and a payment processing fee. Impact Guru charges between six and eight percent for each fundraiser they host. By the standards of the crowdfunding industry in India, this is a competitive fee. Benefits of choosing crowdfunding as method are related to its internet-based character. A man living in Mangalore in need of funds for his mother’s kidney transplant, for example, can have his story told and retold and gone viral in a matter of days. Of course, his own network will have an effect on the number of donors he eventually reaches, but campaigners with a relatively limited presence on Facebook, Instagram, and Twitter have managed to pull together impressive collections. Often, in these cases, their crowdfunding platform has leveraged their social media outreach in favor of the campaigner. Additionally, if you crowdfund for a creative project, a film or a theatre production, you have the bonus that your backers become potential patrons. Most people who choose to contribute to an endeavor that will turn out a tangible and pleasing outcome will likely also show up for a staging, or buy the book, or a DVD. It also happens that in India, demographic and sociocultural factors come together in unique ways to escalate chances for a crowdfunding campaign to succeed. First, India is highly, and densely populated. This is a young population by global standards, with the average age of an Indian held at slightly over 30. Internet use is spreading like wildfire. Despite relatively low levels of awareness about crowdfunding, a small percentage of this massive population is starting, tentatively, to use it. This percent translates to a large number, a growing number, in fact, of Indians who are willing to try crowdfunding when they have to pay hefty medical bills, raise funds for a social enterprise, or for producing an aesthetic idea. 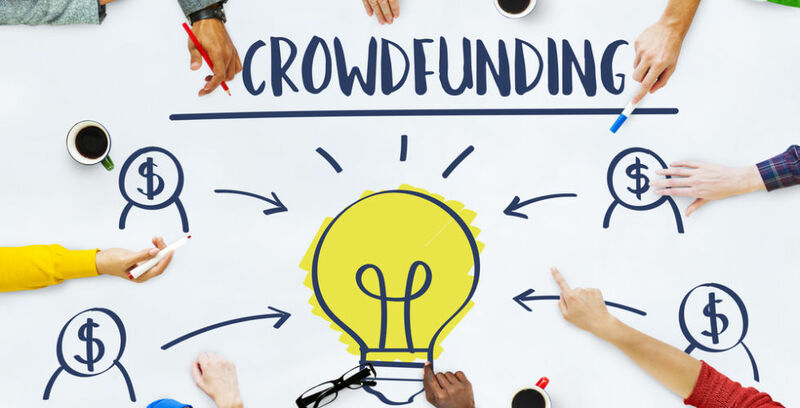 Besides, in a socio-cultural climate that upholds the many positive qualities of democracy, crowdfunding in India is set to be the next big thing in the fundraising industry. Its perfectly inclusive character- literally anyone can donate to any public crowdfunding project while it is still live- makes for a feeling of involvement with the cause among the donor group, and boosts the collection garnered. And finally, for all of these reasons, anyone in India who can afford to make a donation, or wants to, will find a cause to support. It is essential to discuss the different kinds of crowdfunding. Since we are discussing crowdfunding in India, it will help campaigners and donors alike to become familiar with the merits of each sort. This is also likely to help a campaigner choose the crowdfunding technique best suited for their cause, and that will help them raise the most funds. As of 2017, equity-based crowdfunding has not gained legal status in India, although it has been widely successful in the West, especially when the campaigner has raised money for an entrepreneurial venture. As the name suggests, equity-based crowdfunding means that investors buy a stake in the business they help start. Crowdlending is a fundraising initiative where those who choose to help with funds are also paid back, with interest. Typically, these loans are repaid in relatively short periods of time. In India, crowdlending is slowly becoming a favored method for men and women in difficult financial situations to finance essential personal projects. Milaap, one of India’s most prominent crowdfunding support bodies, runs a discrete system meant for those who design their campaigns with the stated intent of paying their donors, or lenders, back. On this platform, a group of women from villages across Odisha made efforts to get loans they would repay in a year’s time. Their goal was shared- each woman wanted to build a toilet at their home, for better sanitation and privacy. Lenders made contributions through somewhat lengthy donation periods to give concrete shape to these women’s hopes. Milaap allowed for long repayment periods to offer these rural women every possible benefit of an alternative lending scheme. Rewards and donation based crowdfunding are the forms that local campaigners have best appreciated, and adopted with some degree of ease. A rewards based crowdfunding campaign runs with the assumption that donors will be rewarded, in some way, for their offerings to the project. More often than not, this reward is simply a personalized thank you note, or a mass emailer that goes out to every donor. Businesses may send a little item of merchandise. Campaigners may post social media shout outs when then the target is met. Given the resonance of this pattern of giving and receiving with traditional values of charity and gratitude held in high regard in India, rewards-based crowdfunding is understandably popular. But all bounties that donors receive need not be tangible. Sometimes, the reward is the production of a play, or a film, or the publication of a book, the recording and release of a music album, or an art exhibition being successfully organized. In campaigns of this nature, the median donor is invested heavily in the cause already, and good project visibility will usually ensure a large collection. Among those Indian crowdfunding platforms that have hosted rewards based campaigns that have seen success, Impact Guru’s Women’s Right To Sight program offered one of the most interesting set of rewards in the local crowdfunding landscape in recent years. Depending on gift amount, benefactors would receive either a photobook, or a photo of a patient with a handwritten note of gratitude, or a guided visit to an operation theatre. Finally, the donation based crowdfunding market is the largest, not just in India, but in any part of the world. Experts believe that this has to do with a choice that donors are able to exercise in the matter of giving; that is, they can choose a charitable cause of their choice and streamline their donations along the needs of that cause. Most platforms that bring together campaigner and donor, Impact Guru for instance, set a nominal minimum donation amount. Over the years, medical, social enterprise, and personal and artistic causes have been assisted by crowdfunding bodies in India. This method of crowdfunding has the largest outreach, because it thrives on an act of volition of the part of the donor. The donor is thus empowered, and the campaigner receives not only financial backing, but also the goodwill and amity of a population of backers they may not even know. This is exactly how it worked in the groundbreaking Impact Guru medical fundraiser for little Saanvi. The five year old girl had contracted aplastic anemia and her distraught father had chosen a crowdfunding effort as a last, desperate solution to pay for the very expensive bone marrow transplant. In a week’s time, over twenty five lakh rupees were raised by concerned donors from India and around the world. A number of companies in India are doing excellent work in the arena of crowdfunding. 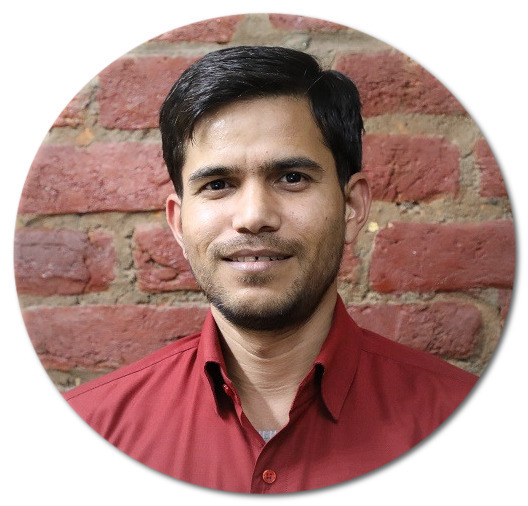 Wishberry, Ketto, Milaap have each carved out their niche in this increasingly competitive industry, where new crowdfunding platforms are cropping up by the month. Wishberry has made incredible work to help artistic projects come to fruition. Ketto is the most significant national platform for accumulating support for entrepreneurs with a great idea, but slender budgets. Milaap and Bitgiving have made a name for themselves by dint of their sheer flexibility; each has raised substantial sums in every category- medical, social enterprise, creative and entrepreneurial. Impact Guru, the youngest of the giants, has also reached the highest figure in endowments. Their focus is on medical causes, and on making aid available to NGOs in India low on funds. There are myths surrounding the swiftly expanding sector of crowdfunding in India. Many educated Indians, let alone residents of rural India, are still not aware of how crowdfunding works. Misconceptions about the nature of this fundraising system, as well as the process itself, abound on the Internet as well as in poorly researched print articles. It is necessary to debunk these false notions, so more people will come forward to campaign, and many more will be induced to donate. First, crowdfunding is not a public call that a budding entrepreneur or artist makes to their family and friends. This is one of the strongest misconceptions, and probably one of the most invalid, held as strongly around the world as in India. The average campaigner will usually raise some fraction of their funds from their circle of acquaintances, but a great deal more will flow in from strangers. This is also why marketing a campaign effectively is crucial to its success. On the other hand, many funders will operate under the assumption that their stories will go viral in no time and with next to no effort. While it is possible to gain traction and benefit from a snowball effect, the onus for getting the snowball rolling, in the first place, lies almost entirely with the campaigner. At the very initial stages of the campaign, little things make a big difference; for example, putting a token donation into your fundraiser account will encourage other, unknown donors to put in money. The final big illusion surrounding crowdfunding is easy to relate to. Most new campaigners assume that the proverbial “crowd” will not donate money to fund a project unrelated and alien to them. And again, the process works differently. People have historically donated to causes they feel emotionally invested in. Donors have reportedly felt satisfaction when their gift has helped save a life, build a school, or help send out clean drinking water in arid regions. In India, there is a positive stirring surrounding the idea of crowdfunding. Young and urban professionals with an aesthetic dream, people from lower socioeconomic classes with an emergency to contend with, activists in need of funds to mobilize research and visibility are all trying to crowdfund their ventures. The future looks promising for this form of social enterprise. Perhaps, in the next ten years, thousands more will develop awareness about crowdfunding in India and become savvy about the process, and these people will contribute to the industry’s growth by becoming campaigners, or donors, or both. Possibly, more people will come forward with ideas to crowdfund their personal projects- travel, big ticket purchases, social event funding. At any rate, crowdfunding in India is set to thrive, as far as can be seen into the future.